An amputee did not let his missing limb hold him back when it came to stealing goods. William Lowden (52) pinched two CD players and two radios from Watt Brothers in Falkirk’s Howgate Centre over a two-day period. 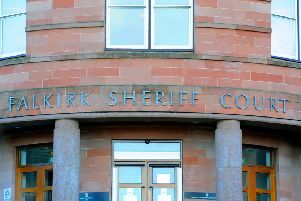 Appearing in a wheelchair at Falkirk Sheriff Court last Thursday, Lowden, 26 Criagleith Road, Grangemouth, had admitted the thefts he committed on November 7 and 8 last year. Sheriff John Mundy deferred sentence on Lowden until October 10 for his good behaviour.